It is not a secret that content SEO is a long-term investment. Publishing a well optimized blog post will not guarantee a result in a day or two. Thus tip number one: Be Patient. 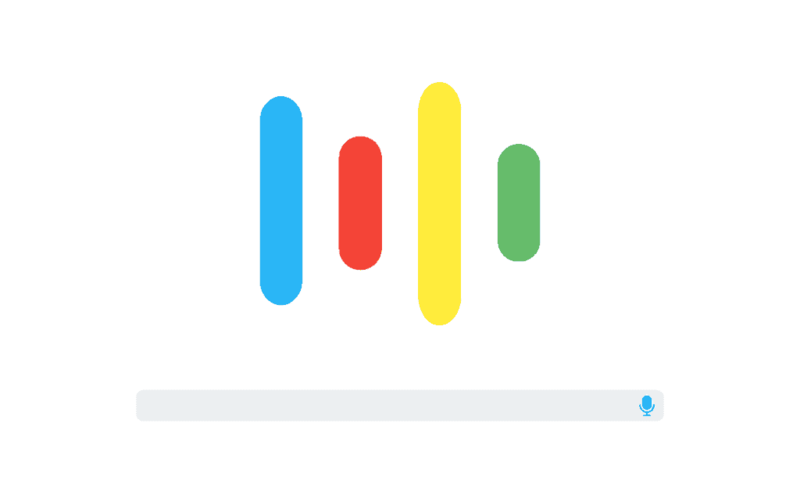 While you are waiting, take a look at our in depth analysis of what it takes to rank on Google and how we did it. Before any massive action on writing the blog post, ask yourself this simple question of “what?” What do you want to deliver with this post and what value would you like to bring to your audience? Cliché, however it will help you stand out from the competitors’ pool. 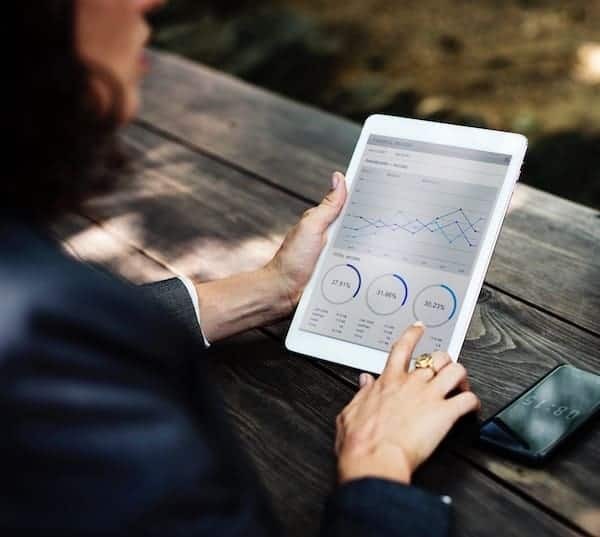 Even if you cover general non branded topics, like productivity at work or the average number of words a person knows, you have to do the research on what’s happening around this theme on search engines. Take a look at how others perceive the issue in blog posts and comments. 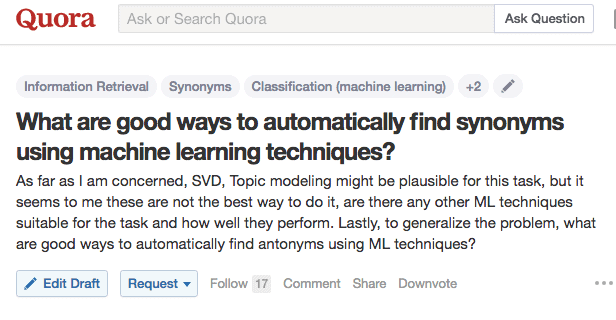 If it is a question type blog post and you provide solutions, then consider Quora as your first destination. Keeping in mind the lesson from step number 2 of a must have research, let’s dive into the actual part of writing. If you visit blog page dedicated to Twinword Writer, you can see that numerous posts have been published on our blog to cover the features. What makes this concrete post stand out the most? One of the reason is video embedded content. If you have any media material supporting your point on blog post, it is not only beneficial for the user to grasp information 3x times faster, but also for Google to determine your rank. Think of available resources outside the box. Make it creative! When you have already determined the topic of blog post, start to brainstorm keywords. It has been said and emphasized multiple times, that keyword optimization is the key to rank high on Google. If you still not convinced, take a look at this concrete example. 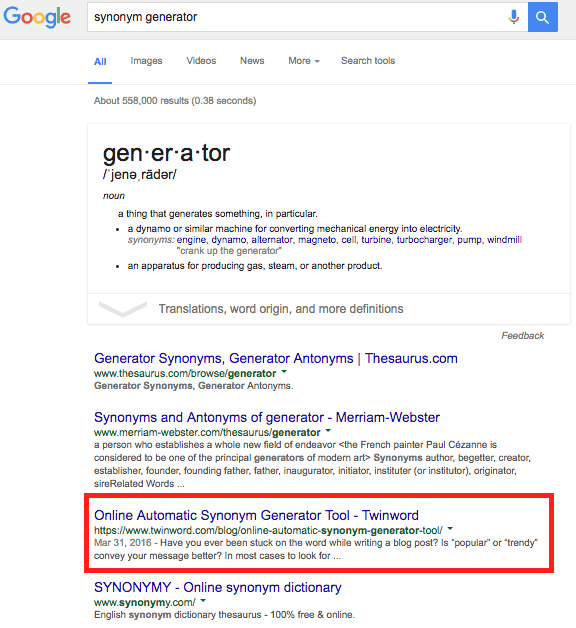 According to this tool, there is 0 competition for synonym generator, while the search volume is 1,300 searches, while “automatic synonym” looks competitive enough with less monthly searches. Try running a search yourself for any keywords on “Import” tab and see statistics yourself. The tools, that we used while writing this article is Google Keyword Planner, Uber Suggest and LSI Graph. All of them had their own advantages and benefits, that helped us create an optimized content. So what we did next was to optimize page title, meta description, include alt-tags and diversify the content with LSI keywords. Researching for the relevant keyword is a must for optimization. Choose the most promising one as a target keyword and include variations within the copy. Before moving on, remember not to keyword stuff your blog post! Your goal is to rank organically without non-organic techniques involved! If you will look at the date of publish, you will see March 31. It has been 6 months since the blog post was pushed. Let’s look through the timeline from the beginning. 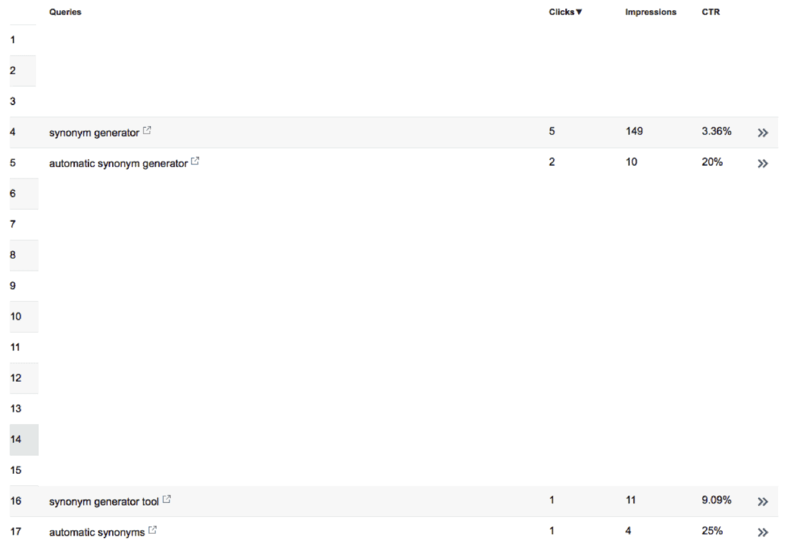 Starting from April, by the end of the month Search Console informed us about the results. Let’s look at the performance by the end of August. Keep in mind that no changes were made! 29 clicks, 1,195 impressions and 2.43% CTR! Comment down below how you feel about the change in statistics! Monitor every month, because there is always room for improvement and learning. Finally, the last tip is to optimize wisely your blog post with long-tail keywords. Indeed, the right keyword was not the only factor for Google to put this blog up on the first page. Besides, you might wonder about conversion rates, average time and the bounce rate. But this is another story. Curious about what are the consequences of appearing on the first Google Page? Share this story with your friends or co-workers (or boss!) and comment down below your thoughts on this topic. Any suggestions on improvement are more than welcomed!